There are many reasons why the next budget fight will be more difficult than any of the close-to-debacles that have occurred in recent years. This year the biggest complication is that the budget fight isn't about the budget. It's about Obamacare. It's been speculated that John Boehner supported the president's position on Syria, in exchange for the White House moving closer to the GOP position on #cliffgate. As I've said before, I'm calling the end of this year's debate two things: budget bedlam and "#cliffgate." No matter which name you use, it will begin when Congress returns to Washington next week. Ever Wonder When The Tea Party’s Demand To Defund Obamacare Started? I've referred back to this post so many times since it first went up more than two years ago that I almost have to apologize for doing it again. Almost, but not really, and especially not this time. August actually is a pretty good time to be in Washington. Here are the key elements about what's ahead...or not ahead...on the budget when Congress returns to Washington in September. Make no mistake about it; House Republicans definitely prefer that a Republican be elected president. What If You Gave A Midsession Budget Review And Nobody Noticed? In this era when almost all federal budget process deadlines are routinely missed or completely ignored, it's hard to believe that the fiscal 2014 mid-session review of the budget was released yesterday, a full week ahead of the July 15 statutory deadline. I posted back in April about how some businesses in Colorado were doing the equivalent of voluntarily paying additional taxes when the sequester spending cuts forced Yellowstone National Park not to do its customary spring snow removal on park roads. Sunday, May 19, 2013, was one of the saddest and most notorious moments in the sordid history of the federal budget. Let's start from the beginning. There was a time when a $200+ billion reduction in the federal budget deficit would have been big news and hailed as a singular achievement worthy of either fiscal sainthood or a dance-on-the-table party. This is not a post about House Budget Committee Chairman Paul Ryan's (R-WI) exercise and diet program. The Clinton administration didn't play as much hardball as it could have during the 1995 and 1996 federal shutdowns because it decided that the air traffic control system was a critical government activity. Quick note about tonight's State of the Union Address: I'm not expecting too much to be said about the budget, deficit or debt. It now looks like the Senate on Wednesday will pass the "no budget no pay" version of the debt ceiling increase that has already been adopted by the House. Over at The Plum Line, Greg Sargent has an important post about the way the debt ceiling fight could end without triggering a cash-crunch crisis for the federal government. Politico had an outstanding but truly bone-chilling story yesterday about how appealing the prospects of a default and a government shutdown may be to House Republicans. Given my stellar record for 2012, I should probably retire now while I’m at the top of my game. Not taking my own advice, here are my fearless budget forecasts for 2013. With 17 days as the crow flies before it happens, it's time for me to do something I've been resisting for a week or so: formally increase my odds that we'll go over rather than avoid the fiscal cliff. Whatever Congress and the White House do in the next couple of weeks will reinforce the case for tax reform. There's really not much new to say about the fiscal cliff except that, as of today, we're now three weeks away from it happening. Originally posted at Capital Gains and Games. I first posted about the budget dilemma Hurricane Sandy presented to congressional Republicans in general and House Speaker John Boehner (R-OH) on October 31. At that time I said there were three questions. The questions are now starting to be answered. Without the White House and House Republicans seeing eye to eye — and they still definitely don’t — we’re no closer to a deal to stop the fiscal cliff than we were before the start of the Thanksgiving recess. Congressional Republicans in general and House GOP'ers in particular have been saying since Election Day 2010 that the Gingrich Republicans of the mid-1990s compromised too early with Bill Clinton on the budget and would have gotten much better deals if they had only held out longer. 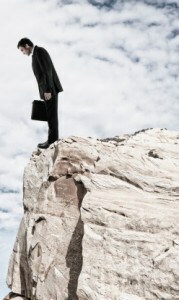 Is Wall Street Really This Clueless About The Fiscal Cliff?